You’re a fairly regular racer, log a lot of training mileage & try to have good nutrition habits. Maybe you are looking to take your performance to the next level. What are a few keys to precisely dial in your nutrition and performance? See 3 tips below! You can be an avid reader of health, fitness & nutrition information and still have a few missing components. Trust the experts in their field. Find a registered dietitian or sports nutritionist. They will have you keep a food journal, record your likes/dislikes and any problems you have with foods. It is like a running plan for your eating. Soon you will know exactly what foods, how much and how often to eat your way to a better running performance. It’s a challenge to know if you have any biomechanical deficiencies or deviances. Even if you watch yourself run on a treadmill in a mirror, it is difficult to know the degree of drop on your left hip. Do yourself a huge favor and have a gait analysis performed. You will run on a treadmill and they will film you. 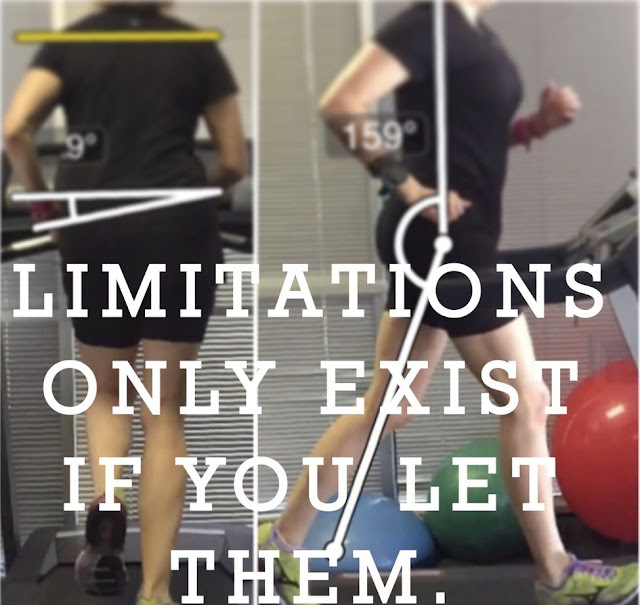 Your movements will be analyzed by software to determine any problems. This may even identify or prevent an injury. Have a comprehensive program designed for your needs and performance goals. Maybe your go-to 5k training program needs to be updated now that you are training for a half marathon. Perhaps your legs need to be stronger to help you complete your monthly goals of 200 miles.